MKV, short for Matroska, is a flexible and open standard file format widely used for HD videos. Despite its popularity, it is still very common to run into the maelstrom for playing a MKV video file because it is not widely supported by many devices when compared with other video formats like MP4. You can’t play MKV on iPhone, iPad or edit it in Vegas Pro etc. If this is the case with you, it’s a good idea to convert MKV file to widely supported MP4 video. In this post, we’ll show you 5 Free MKV to MP4 Converters for you to do this job easily. Read on and choose your preferred one for converting MKV video files. Search Google, you’ll find countless free video converters available for MKV to MP4 conversion. First, though, we’d like to recommend Gihosoft Free Video Converter throughout this list. With clear interface, fast conversion speed, high output quality, Gihosoft Free MKV to MP4 Converter can meet all your needs and get the job done efficiently. Download this MKV to MP4 Converter free tool from Gihosoft official site, then install and run it on your computer. Click the “Add Media” button and you’ll get a pop-up window, select the MPV video you want to convert into MP4 and click “Open” to load .mkv file. From the right panel, choose the output format – MP4 in this case. Select your desired parameters and resolution then move to the next step. Now click the “Convert” or “Convert All” button to initiate the converting process. Wait for it to finish which will be marked as “Finished 100%”. If you are looking for a way to convert MKV to MP4 free, you should have a loot at VLC Media Player. It is a free and open source player software for playing multimedia files. Also it comes with converting function, allowing you to convert media files on PC. Using VLC, you can easily convert MKV to MP4 with several clicks. Download and install the latest VLC on your computer (Skip this if you already have the program). Then start to run the software. From the toolbar on the top of the program, click the “Media” tab then select “Convert / Save…” to enter into the Open Media window. Click the “Add” button to import the MKV file you wish to convert, then hit the “Convert / Save” button to enter into the Convert window. Now you can select “Video – H.264 + MP3 (MP4) as output format. You can further customize the profile settings such as video/audio codec, resolution, bitrate, etc. After that, select the destination folder to save the output MP4 file and click the “Start” button to begin convert MKV to MP4. Freemake Video Converter is another free program you can use to convert MKV to MP4 in addition to other formats like AVI, WMV, FLV, MOV, etc. With this Free MKV to MP4 Converter, you can easily convert MKV file to MP4 format in high definition. Then you can freely watch your MKV videos on any TV, PC, iPhone, Android, and other mobile devices. Download, install and launch the Freemake MKV to MP4 Converter on your computer. Click the “+Video” button to import the MKV files from your PC. You can add multiple video files at once and convert MKV to MP4 in batch. Select the output format of your choice, in such case, choose “to MP4” from the bottom output options. 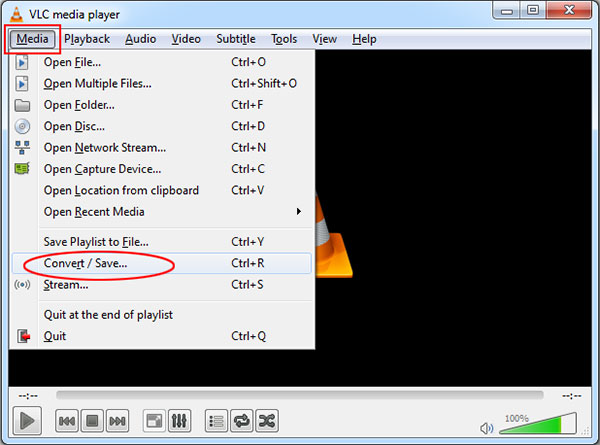 Set the destination folder for your MP4 video and click the “Convert” button to start the converting process. 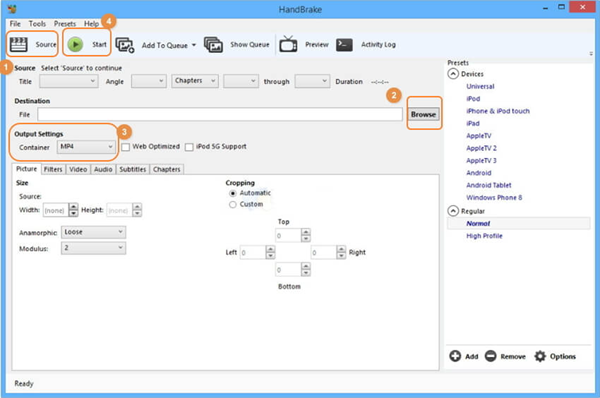 HandBrake is a free converter tool that supports converting video from almost all formats to two supported codecs, MKV and MP4. Though the output format is very limited, it can basically meet your needs to convert MKV to MP4. This free tool is easy to use and provides users freedom to choose the conversion settings as they desire. Download, install and launch HandBrake Free MKV to MP4 Converter on your computer. Click the “Source” button on the toolbar and select “Open File” to choose your MKV file. Click the “Browse” button under “Destination” to choose the destination folder for saving your converted MP4 file. Now go to “Output Settings” and choose “MP4”, then click the “Start” button to convert your MKV video to MP4 file. Visit Cloud Convert home page and click the “Select Files” button to upload your MKV file. Also you can add files from Dropbox, Google Drive, One Drive etc. Once the MKV file is uploaded, select “MP4”from the list of output formats. You can adjust the settings to your preference or leave it to default. After that, click on the “Start Conversion” button at the bottom of the page to begin the converting process. When the conversion process is finished, click on the “Download” button that pop-up to download the converted MP4 video. These MKV to MP4 converter freewares mentioned in this post will help converting your MKV files without hassle. They are safe and used by millions around the world. So instead of scrambling around trying to get a program that allow you to play your MKV video, why not just convert your MKV file with any of the free MKV to MP4 converter listed above to get a much more widely-supported MP4 video. If you have many MOV videos and want to convert them to MP4 free of charge, please refer to 3 Ways to Convert MOV to MP4 on Windows/Mac Free.